We take a look at how the IoT combined with machine learning is helping treat people with speech disorders. Read on to find out how this is being done and the progress being made. Speech is a fundamental aspect of human behavior, yet it remains something that many of us struggle with. It’s believed that around 1 in 14 adults in the United States have some kind of voice disorder, and our understanding of such disorders makes it difficult to both diagnose and treat. 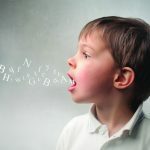 A team from MIT and the Massachusetts General Hospital believe that machine learning can play a part in better understanding speech disorders. In a recent paper, they describe using a wearable device to collect accelerometer data to detect differences in people with Muscle Tension Dysphonia (MTD) and a control group. After such individuals with MTD had received therapy for the condition, their behaviors appeared to converge with that of the control group. The team used unsupervised learning to try and gain a better understanding of just when vocal misuse was occurring, and their correlation between misuse and accelerometer data. So, the team divided participants into two groups depending on whether they had a voice disorder or not. The two groups then went about their lives as per normal, whilst wearing a wearable accelerometer device to capture the motion of their vocal folds. The data was then crunched, with over 110 million glottal pulses captured during the test period. There was a noticeable difference in the clustering of these pulses between the two groups, but this difference was shown to vanish when the voice disorder group received therapy for their condition. The study is important as it’s the first of its kind to use machine learning to provide clear evidence of the impact voice therapy has on a patient. The team hopes that they will be able to further develop the approach such that it can help to diagnose specific disorders and potentially even provide insight into how disorders work. This could potentially be done via a smartphone app that provides a level of biofeedback to help patients better manage their conditions and live a life that’s conducive to healthier vocal behaviors.